The measurement of childhood immunization related activities is a sensitive measure of social attitudes and behaviors. 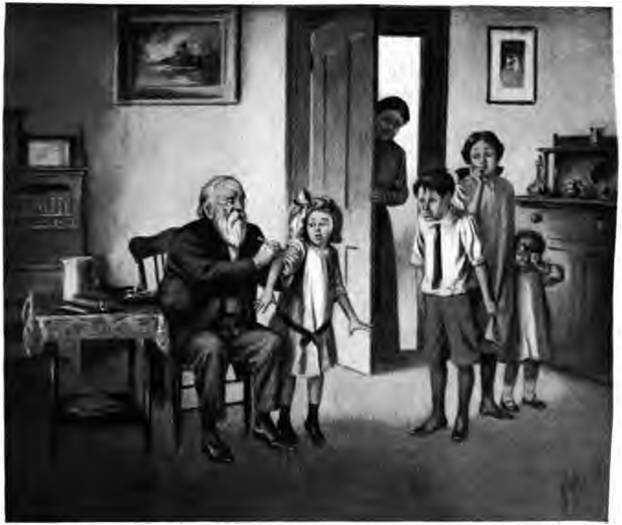 The immunizations themselves, the history of having a disease for which immunization is typically required, the documentation of a parent’s refusal to engage their child in the immunization process, are all ways to measure the effects of an immunization activity program and the public’s attitude about such programs. The opinions people express about immunization are for the most part compliant. However, every community has a select few people who are against the immunization process, especially for their children. These individuals increase the risk that a disease will return to a given social environment such as a church, school, friend’s part or community park gathering. Those who voluntarily avoid an immunization procedures only put se who have involuntarily not yet undergone the immunization process at risk. This includes people who have recently removed to a region from a country or location lacking adequate immunization services, as well as families with a need for immunization but not yet fully compliant due mostly to the age of the child undergoing this process. People who carry a disease for which immunity is possible, put others at risk, without the consent of those other people or their parents. This statement about such behaviors does not apply to individuals residing where it is “normal” and/or accepted for a parent to not engage their children in any such programs, be this due to sociocultural, philosophical, personal, or religious reasons. Once their child is exposed to the outside communities, if they not be a carrier then they are susceptible to acquiring a disease with a potential for fatality or producing a debilitating aftermath. If their child is from a community where infections are common and being a carrier somewhat accepted by the accepting community at large, their likelihood for exposing those not a part of that sociocultural belief system is quite high in the other communities, possibly resulting in fatalities and adding to any ongoing socioeconomic problems in health care that might already exist. Either way, the right to practice refusal of immunizations is a right only applicable to the individual practicing it, and no other people at any other place. From 1960 to 1980, the NIH, CDC, AAFP and numerous other medical groups and associations have worked hard to improve upon the immunization rates for children. Whereas during the 1960s, poliomyelitis was still a possibility for many households, diseases like mumps were more a commonality than a scarcity, and sending your child to a house with someone who has chicken pox was often considered the best means to inoculate your children. By the 1990s many of these activities were no longer engaged in, with the goal of helping to improve the chances for a child’s quality of life and long term survival. Immunizations have since been a common service offered to children regardless of whatever health care system or insurance program their care is supported by. Whereas for a while, it seemed likely that immunization was going to be a standard of health care with goals reached by nearly every household in the United States, by the 21st century a lot of these plans for the future of preventive health care began to fade away. People have an unsubstantiated fear against the use of one or all types of immunizations due to the potential “side effects” they could induce, such as the development of ADHD, a problem often related to measles vaccine and its ingredients. People have recently immigrated into the United States and due to their upbringing lack an immunization history or documentation of their disease history, and have not made an effort to enroll in the available programs. People don’t think they are at risk for the disease they need to be immunized for, at least for the age span that it is required for. People live in a fairly “safe” community or in some setting that does not result in fears against the diseases normal societies have to contend with (i.e. communalists, home schoolers, mountain families, small town settings, etc.). In general, the public perspective has focused heavily upon the third and fifth options, and to some extent the first, second and fourth. The last two options are fairly common in certain parts of the United States, and add to the third reason often employed in Pacific Northwest communities for refusing immunizations for your child, or yourself. If we look at the United States population as a system, we can interpret it as either an open or closed system. Each of these systems has different events that take place, in turn relating to how, when and where new diseases are produced, propagated, spread and socially facilitated in the diffusion process. The most basic population system is a closed system in which no new risks or risky people are added to the population at large. The population itself changes with time due to birth and deaths, but for the most part, is fairly stable when it comes to individual, family and sociocultural behaviors. The only changes taking place within the system socioculturally present themselves due to normal human behavior, events related to the way we eat and dress, what types of transportation we engage in, whom we interact with and where and how dense that population is whenever we interact. Each of these have an impact on how diseases that are immunized against behave in a much larger population setting. If someone were not vaccinated and failed to have a history of the disease, then come down with that disease, chances are he/she caught it from someone else who had that same disease. It is this interaction of these two unprepared individuals that produces the first disease pair/cluster. It is this cluster that then either dissipates at its own normal rate, or results in new cases to develop based upon where and when other unprepared people can be found. In a highly immunized, stable social setting, the chances for finding those susceptible people are very low. In an unstable social setting, where interactions occur between clusters of people who have little vaccination history and those who do have the vaccination history, the greater the interaction, the more likely the disease is to be spread. But if the social interactions are limited to just the populations where no one really engaged much in any vaccination program, then a disease cluster develops into an aggregate, and once that aggregate reaches the right size, it harbors the infection or its causes between cases long enough for new events to occasionaly develop enabling more outbreaks to occur. The preventive mechanism halting these outbreaks from occuring are the immunized population, and how much it places itself amongst the non-immunized people serving as barriers between active diseases carriers and potential cases waiting to be infected. Immunization or vaccines lower the rate of the infected disease carriers, and increase the size and density of this barrier of uninfectable people. The immunization process dilutes down the cases of active people just enough to prevent an epidemic from ensuing, after which, in the closed system setting, the ongoing activities design to increase immunization rates work to reduce the susceptible population even further. Assuming there is nothing going in or going out of this system, only behaviors and reactions to the prevention program define how quickly and how effectively an immunization program will work in such population settings. Different people with different belief systems and different fears and attitudes will ultimately impact how quickly the needed goal of immunization is reached, such as the 95 or 97% immunized goal often targeted in HEDIS/NCQA related work. The following are factors related to this closed system interpretation of immunization and the infectious disease process. In the Open system, you allow migration inward into the population being studied. One-way migration says people come in, but don’t leave the health care system as a whole. This is much like the in-migration process of people from other countries moving to another national setting. The older setting lacks the total health care system now available to them within the country they just moved into. Now it is up to their participation to help define whether or not the “appropriate” actions are taken in infection disease prevention. Naturally, a certain number of these in-migrants are going to be exceptions, just like the normal population, and for whatever reasons, not take the opportunity to be immunized againgst diseases. This means that they increase the size and under the right circumstances, density of the population at large capable of becoming infected. By adding this unimmunized or underimmunized group to a region, that region becomes more susceptible to developing epidemics. The immunized members of this population serve as personal, social barriers, so long as they interact with the in-migrants. If they don’t, if the in-migrants mostly socialize just withe each other due to linguistics, cultural and social barriers, then we find small areas developing with clusters of potentially infectable people. An example of how this type of sociocultural system responsible for creating cases develops is seen with a much less infectious disease–asiatic cholera. When the cholera struck the US in 1849, and then spread to other cities and towns where heavily populated settings existed with multiethnic histories, what we saw develop were towns and cities where specific ethnic groups seemed to be targeted by the disease. The recounts of the Illinois cases between 1850 and 1856 illustrate this. [REF–see Oregon Trail Cholera work]. In the larger towns there were hamlets primarily of German background next to those primarily or Irish background. Both had cases of infection, but the German area had the habit of closing its windows and remaining inside the household during the epidemic weeks. The Irish were willing to travel from one house to the next, giving support and prayers for victims in friends’ and family members’ households. If this disease struck a German household, it had the potential of killing the entire family. If this disease struck an Irish household, it had the potential of being spread, but more people in that household may have missed the infection due to their travels. The physician who published these findings was still trying to clarify whether or not this cholera was a rsult of Miasma, which the German behaviors worked to prevent, or a result of a much mroe complex water sanitation issue related to the location of toilet closets, which were detached from the house setting during those years. He favored the latter as being the chief cause for its diffusion, and terms these hot spots for the deadly disease “niduses”. Why are prevention measures for some diseases better than others? The following explanations were found to be used in two of the clinical health management settings I was in when performing this research..
Staggered schedule issues; immunizations aren’t given as a single set of repeated doses. Well visits, immunization visits and single versus combination immunizations products make it difficult for parents to keep track of their child’s history. Unique events in a child’s history such as exposure to a chold with chicken pox or mumps, history of other medical condition or visit making it possible for one of the three in a combination is provided. Cultural and language barriers, inadequate record keeping history in previous living settings, and lack of knowledge of exact immunization history are major barriers to enabling any immunization process to ever be completed. There are three ways to evaluate immunizations. The standard method is to maintain an immunization database, monitor that database with the goal of sending reminder letters, and utilizing the database to evaluate completeness of immunizations by a specific age according to HEDIS/NCQA standards. There are also two other measurements that are possible, that do not require as much time, and which provide some insights into how and why immunizations are not completed. Both of these can be evaluated using a standard hospital or insurance program database, and my even be added to the standard PIP/QIA report used to monitor childhood immunization completion rates. The first may be managed by a regular health insurance program or institution. The counts in general for these programs will be considerable low and serve more as a marker to maintain focus on in order to avoid group-based movements with the intention of reducing immunization rates. The second measurement details extremely rare events for many of the immunizations, although a few may be locally monitored due to relatively high incidence rates, in particular chicken pox and mumps, and perhaps even polio (rates of this disease are still relatively high nationally). An equally helpful metric for immunization studies is that of the cultural background of the patient and his/her family’s cultural history. The purpose of this form of analysis is to link cultural or ethnicity background to behavior related to incomplete immunizations, late completion periods, or onset of a normally immunizable disease. The current programs serving to quantify human behaviors and disease tend to lack much cultural emphasis. With improved public health programs and the development of sizable grants and funding resources, more opportunities have surfaced for more fairly evaluating the public health issues faced by particular socioeconomic and sociocultural groups. These programs are most effective for disease monitoring programs like cancer incidence and screening rates for particular ethnic group. Likewise, significant efforts are being made for important chronic disease issues like asthma, diabetes, hypertension, hyperlipidemia, osteoporosis, rheumatoid arthritis, numerous autoimmune diseases, etc. Immunization related behaviors and practices lack this progress in some cases, due to very different underlying causes for these public health problems. The following topics were reviewed for this project. 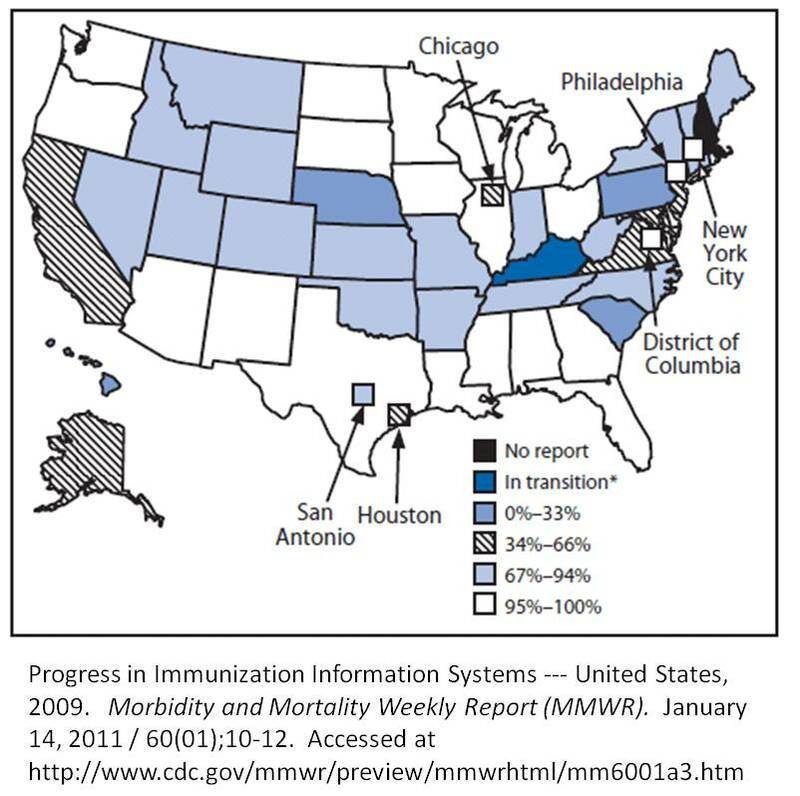 Immunizable disease Incidence Rates — Part 1. Refusal to immunize — Part 2.